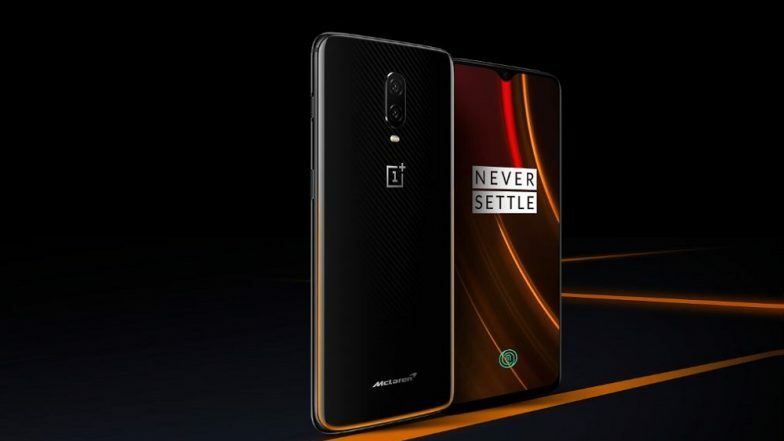 OnePlus 6T McLaren Edition, which is Chinese smartphone maker's flagship smartphone is yet again available for sale from today exclusively on Amazon.in. The smartphone will be available for limited period only untill the stocks last. The device was launched in collaboration with McLaren in December last year to celebrate its 5th anniversary. The design and performance of the smartphone is inspired from McLaren cars. OnePlus 6T McLaren Edition Online Sale on April 6 at Amazon.in. Dubbes as 'Salute to Speed', the OnePlus 6T McLaren Edition comes with 10GB of RAM and 256GB of internal storage. Under the hood, there is a Snapdragon 845 chipset from Qualcomm that is coupled with Adreno 630 GPU. It also comes with a 6.41-inch display with FHD+ resolution. The phone is protected by Corning Gorilla Glass 6. For photography, there is a dual rear camera comprising of 16MP lens and 20MP lens along with selfie camera of 16MP. The McLaren Edition sports in-display fingerprint sensor. The phone is backed by a 3700 mAh battery with a 30W warp charge. The warp charge is claimed to charge faster than the regular dash charger. The company claims that the warp charge is capable of charging up to 50 percent of the battery in just 20 minutes. As far as the prices are concerned, the OnePlus 6T McLaren Edition is priced at Rs 50,999 which is the most expensive phone from OnePlus.